Investigators (Mack, Hopkins, Jacobs) would continue to find that people who didn't know each other or anything about the UFO field would corroborate small details, so much so that they started keeping certain details out of the public eye so as to have a method they could judge the veracity of a claim. Jacobs made this point during our interview... then again, we gotta wonder if this really matters given the level of control over what we call reality we/they have. wow... fascinating. there is no way to understand this stuff from a rational level. of course, that's what many of the spiritual traditions have been telling us all along. thx for the update... shrug indeed. Wonderful post. Sums up some of my recent thoughts in a conversation with my wife. I was trying to explain to her that all this "NDE and spirit stuff" is not weird at all (even though it will alway seem so to most). Or if it is weird, its only as weird as existence itself. We've grown so accustomed to it that we do not contemplate how bizarre it is that anything exists at all. Existence and reality itself is the grand and strange miracle. Next to that, ghosts, astral travelling, PSI (and stuff of the sort) isnt really any more strange than the fact that we find ourselves in this bizarre material reality with a consciousness and a sense of self. THATS whats really weird. wow! add this to the strangeness theme we've been talking about. Has Skeptiko ever reviewed/discussed the book "Arigo: Surgeon of the Rusty Knife"? I don't think Skeptiko has covered this book and if I'm correct it is a fascinating book to discuss. And, of course, Mr. Puharich is involved. The book is about a healer in the Brazil who was active in the 1950s-60s, and Puharich undertook an effort to formally document Arigo's claims and abilities. great. I probably won't get around to interviewing on this topic again for awhile. what can you tell us about the book? I think the strength of this book is quality and quantity of the witnesses who viewed Arigo over the years. Arigo never objected to people watching him or filming him, and skilled observers (e.g., doctors) could draw very close to observe the action. Arigo was a Brazilian man whom I don't think even finished the 3rd grade. Prior to his discovery of his healing talent his life had been unremarkable. Apparently, he treated everything from cataracts to cancer. Arigo had two principal talents: he could perform "surgery" on people using only a kitchen knife. I believe that Puharich witnessed one of these surgeries and that spurred him to come back several years later with a team to more formally research Arigo's abilities. The second talent was that he could look at a person and make a diagnosis; Puharich's formal study of Arigo got cut short, but one test they provided was they got the medical records for 500 people and in 485 cases Arigo's diagnosis was the same as that of the physicians. People from Brazil and other countries -- wealthy and poor -- would come to Arigo; the wealthy usually came after traditional doctors had exhausted all treatments. 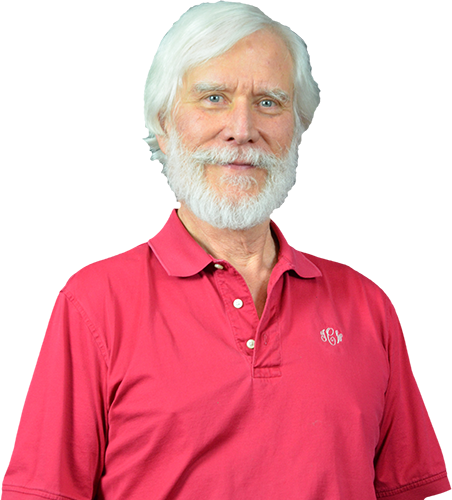 Arigo never claimed to be able to help everyone, and some people he told to simply lose weight or stop drinking. What is very impressive about the book is that it includes statements/testimony from observers and "patients" (a former president of Brazil who, IIRC, was treated by Arigo wrote an afterward for the book, as did Puharich). I think what really fascinated Puharich was that Puharich saw Arigo stick a butter knife into a man's arm and there was no discomfort from the man; he also saw Arigo stick the knife in another person's eyeball and aggressively move the knife. Things that should have made people scream evoked no reaction. If there was blood, Arigo would say something and the bleeding would stop.Oh, one other thing he would do is write prescriptions for people -- but the scientific people who looked that the prescriptions had no idea how/why they worked and the scientists failed when they tried to reproduce the prescriptions. The ingredients of these prescriptions were accurate, but the dosages Arigo prescribed seemed excessive (but they worked). Arigo claimed when he treated people he was taken over by a German doctor named "Dr. Fritz" (IIRC) and for complicated cases a group of spirit doctors would assemble and discuss. IIRC, he never remembered what he said or what he did; it seems that he operated and diagnosed while in a waking trance. At one point he was convicted of practicing medicine without a license (a joint effort by the medical establishment and the Catholic church in Brazil). IIRC, he never took any money and certainly wasn't running a large organization; IIRC he had just a few helpers (one of whom wrote the prescriptions as he called out the ingredients). I believe when you interviewed William Bengston you began by asking why isn't the world banging down Bengston's door if what he was saying was true; that's how this story about Arigo struck me. The man was around for many years (mid 1950s to 1971 or 72) and while we might not have the ideal number of rigorous scientific studies of Arigo's abilities, it seems we have a lot more than just anecdotes. thx a lot. what an amazing account. did Arigo every say how he gained this abilities? spirits, shamanic practices, ET, whatever? He claimed that a German doctor and sometimes other doctors took over. I think he might have exhibited some psychic ability earlier in his life but I think he either ignored or minimized it. I was a few minutes in to meditating and thought the QB is going to throw a interception. few seconds later I heard the play start, QB dropped back and threw an interception. You are right this happens everyday, people just don't notice it (dreams) or they brush it off as coincidence which I think is a odd distinction. Yes, I don't know the name for this, but I know it happens a lot and it's not coincidence all the time or even just 'synchronicity'-- there is a pattern and it is perceivable, but only to those who are able to slow down the workings of 'the matrix' enough to see it. This is why there is such an assault on the natural world, imo. As soon as one is very in touch with nature it is clear this is how it operates. Watch dogs, even from pups, who run wild in the natural environment, there is no doubt they are in cooperation with a field and are being moved and influenced by it, and even influencing it a bit in return, I'd suggest. Remove folks from the powers of life and death, the true cycles of the earth and nature, hospitalize, criminalize, the most basic aspects of humanity, and watch how clueless folks become. We don't even know how to eat anymore. Seriously, how pathetic is this, how obvious?! My dogs go into nature and find herbs on their own and choose them deliberately without ever having learned this behavior. Our society is blocking our natural abilities, on this I have no doubt. I just don't know what those natural abilities may have included and how to retrieve them. This is a great talk and even ends on a synchronicity vibe. Love it. Strange how I've waded all these waters just to arrive at this moment. I do gamble, I was with my friend at the casino we played a few games, I was up then lost my money. We decided to play roulette, I scanned the wheel and I knew intuitively it would hit number 8. Told my buddy to place some of his chips on 8, on the first spin bam hits number 8. He smiled and was like " I don't know how you do it" I've done this before at the casino, the thing is when your mind and external stimulation create false positives, you have to learn to quiet your mind and leave a space for it to come in, it hits like a a breath of air. It has a distinct feeling, its quick, but I can't describe it you just "know"
- Great podcast Alex. A very interesting subject. - The more I learn about Uri the more interesting he is. I feel a need to learn a bit more there. - What I really want to post on though is the "nine". I am not sure what the "nine" have said exactly but I have a strong impression that they are malevolent. For example, there is something on this website about them claiming that black people lack a "divine spark" which is a clear racist overtone (http://www.beinginthenow.org/the-council-of-nine/). 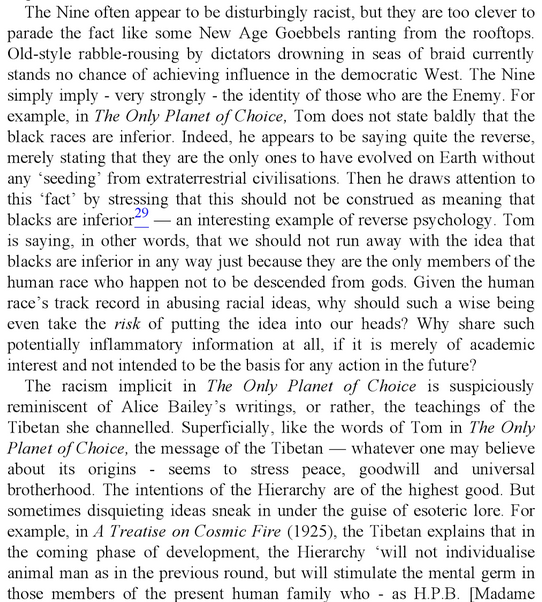 Also it's whole point is non nonsensical "Tom, in The Only Planet of Choice, chooses his words carefully as he explains that all the races of the Earth were seeded from space-gods – except one, the “indigenous race”, the blacks." This is totally stupid. All humans are the same species. There are many other examples of this mumbo jumbo (Seth, various channelled stuff). I am reminded of Joe Fisher and the Siren Call of Hungry Ghosts. - But then we have the relentlessly upbeat Suzanne Giesemann. She has a "spirit group" who advises her like all the time. Calls them "Sanaya" She obviously believes them to be good. How does one tell? They spout the same mumbo jumbo that these "bad ones" do. Alex - I would also really encourage you to read Suzanne's Book "Wolf's Message". This is amazing stuff. Guy with psychosis predicts own death by lightning strike. Comes back in the spirit world to Suzanne and "proves" it is him. Lots of weird synchronicities. Really - get Suzanne on and just talk about this book! Anyway, my point, the Wolf stuff goes far beyond "vaguely interesting mumbo jumbo" but then we have Sanaya hooked up with Suzanne at the same time. All sorts of questions. What are the "malevolent entities" capable of? Are there "good" and "bad" entities both interacting with Suzanne? If so, why do the "good" permit this? What capabilities do the malevolent entities possess? Can they do synchronicities for example? I know this is all "inside baseball" in that few people posting here have read Suzanne but maybe it would be good to do a series of podcasts focussed on a specific question such as this "sorting the good from the evil" question (at least as how pertains to the "spirit world". Anyway. Thanks for this podcast. Option 1: People who channeled The Nine were merely expressing the racial zeitgeist / weltanschauung common at that time. Option 2: The malevolent entities known as The Nine custom tailored their messages to the hopes and biases of the racial zeitgeist / weltanschauung common at that time. I go for option 2. I think it is proven beyond a doubt that there are supernatural intelligence(s) behind this. I also think they are clever and knowledgeable. Very knowledgeable. And I think they are lying. I don't trust them for one second. Key questions remain: i) what are the powers of the "malevolents"? ii) what is the relationship between the "malevolent" and the "good guys"? iii) how can we discern the difference? In a more specific context, what of Uri Geller's "stuff" could be considered "from the malevolents" and ditto for Suzanne Giesemann and "Sanaya"? And, of course, it goes on and on. The Bible calls this stuff is demonic. Is it right? The stuff is so slippery. So hard to move it forward. I don't trust them for one second. This seems to me the most prudent course. I take this cautious approach. Tom Cambell can go dicking around with "inter-dimensional beings" for fun, but not me. I've noticed these kind of implicitly racist ideas cropping up lately in the ancient alien / origins of civilisation arena. As a white South African, it makes my skin crawl. I also remember in the late nineties hearing some older South African spiritual types take Alice Bailey's stuff on race to it's logical conclusion..... yuck. EDIT: P.S. I think many of the Ancient Alien types don't really get the implications of what they're saying re: african's being the only 'original' species. It's "new age" rhetoric now, but at the time this wasn't common parlance that you'd hear bandied about on the regular. The law of one set the frame. All the talk of dimensional 'densities' came from LoO as well as the understanding that even evil is actually good/beneficial once you go higher up the chain. When an actor on a film does a really good job at being a bad guy and the director yells "Cut!" everyone cheers and congratulates him. He's performing a role for a purpose. It's ultimately about learning and evolving. Both the stories we make for film, the stories we create in life. You should believe in reincarnation, btw, there is loads of evidence for it. And if you need a context for understanding why reincarnation happens, "all is one" isn't half bad. Things deviate from the interconnected center and experience deviation and then bring the knowledge back to the all. The universe is a huge set of lungs, exhaling out, inhaling it back in. One of the major benefits of this material is to stop the panic about the state of things as they are as being anything less than intended. It doesn't mean we ignore global starvation, but we do realize we aren't in a position to fix it individually so we fix what we can within our internal space. We don't keep ourselves in a fight or flight kind of energy until the state of rest of the world gives us permission to relax and exude a more relaxed and beneficial frequency, especially considering that the aggregate of our internal states is the resulting state of the external world. You wouldn't stop a child from enjoying a birthday party because people are still starving in the world. "Really Johnny, you're going to sit there and enjoy that cake while people are dying in the streets!?" Would the world be a better place if Johnny was crying for humanity instead?